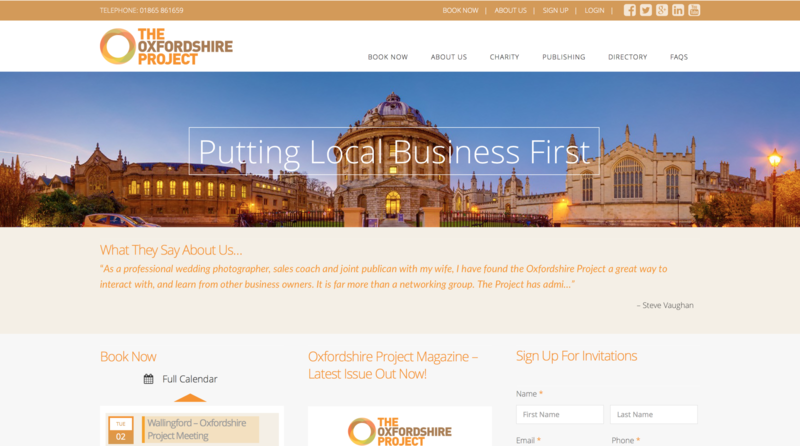 The Oxfordshire Project is the largest business networking community in Oxfordshire, who had outgrown their old website. We were tasked with designing and building a new ticket selling website that would allow them to automate a lot of their tasks, and allow the sale of business networking event tickets online. Tickets sales go beyond just an ecommerce transaction, and the site includes the integration of events with tickets booked and paid for online. Different pricing for ‘members’ and ‘guests’ is now automatically handled online, with the addition of a business directory for member businesses (again, users are able to add their own business listings and update them). This is a long-term relationship with the Oxfordshire Project with many further developments pencilled in for the future, which we look forward to.